The Royale is a spin off of the Supreme, but we’ve added a little sizzle. Imagine 31 Jets, crowned in Stainless Steel Accents, for a touch of Royalty. Powered by Waterway’s top of the line pump, like in the Supreme, the Executive Series 56-Frame Pump delivers one of the industry’s most outstanding hydrotherapy experiences imaginable. We’ve lit this model up with brilliant points of LED Lights for an unbelievable nighttime hot water experience. Wash your cares away as you relax under the gentle flow of hot water from the Cascading Waterfall. And the Royale offers the shell in a Soft Touch material at no additional cost! Truly a regal treatment awaits you in the Viking Royale! Fortiflex High Density Polyethylene (HDPE) Shell - A virtually indestructible material which carries a non pro-rated Lifetime Warranty even against freeze damage. HDPE is used for several different applications including football helmets and truck bed liners. Polystyrene Maintenance Free Cabinet – A zero maintenance tongue and groove material that never needs staining or refinishing. 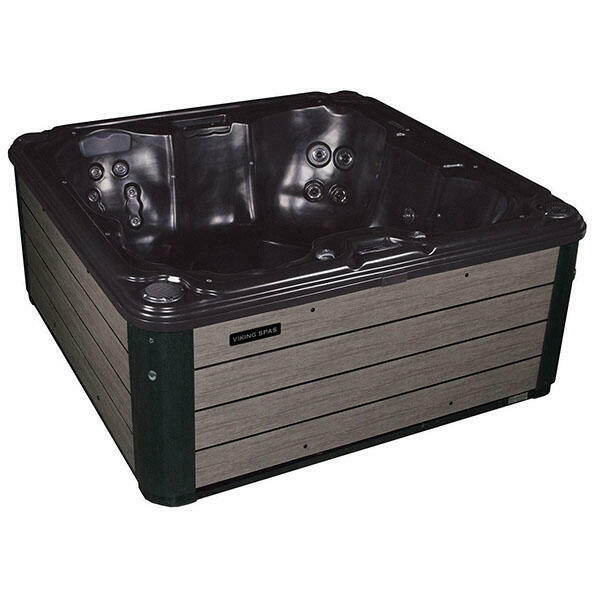 The duo-wall design aids in the insulation of the hot tub and reduces noise. These fully removable panels will not rot, mold or mildew and have UV inhibitors to maintain their color. Rigid High Density Foam Insulation – 2lb. High density foam is the most efficient foam used in the hot tub industry. Fully insulated with an R factor of 42, Viking Spas have proven to be one of the more energy efficient spas on the market. Balboa Power System – Balboa is one of the largest and most trusted names in the industry. Since they have been engineering and manufacturing electronic touch pads and controls since the early 1980’s all glitches have been worked out and the end result is a dependable and long lasting spa pack and control system. High Output Low Voltage Motor – Viking Spas use a top rated Waterway Executive series pump. The pumps run 50% cooler than other pumps of the same size and are very efficient. With the pumps high velocity output, the jets are powerful and provide an incredible amount of hydrotherapy. Corona Discharge Ozonator (Optional on Eclipse) – Ozone is the most powerful oxidizer available. An ozonator keeps spa water cleaner for longer periods of time, helps to reduce the need for chemicals and saves you money. The advantage to a Corona Discharge ozonator versus UV ozone is that the cell life lasts up to 5X longer, creates a more pure form of ozone and operates at a fraction of the cost. 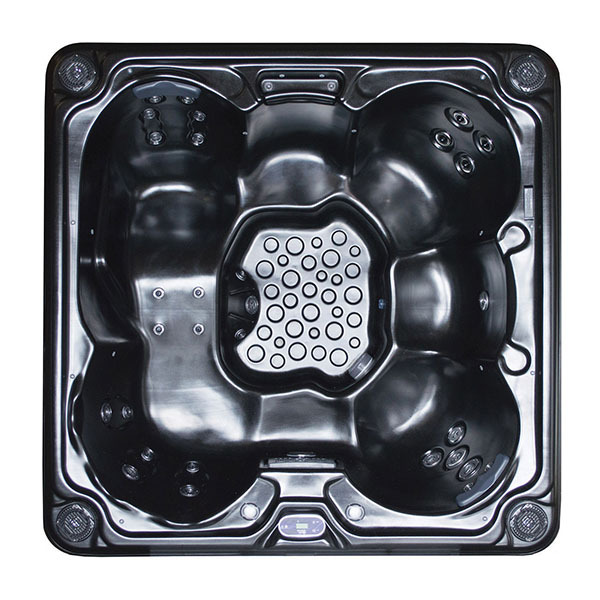 Jets – Viking Spas uses a number of different styles and types of jets each serving a different purpose depending on their size and flow type. Some jets create a pulsating action simulating a shiatsu type of massage, where other jets create a steady stream of water and have fully adjustable pressure settings. All of the Jets are easy to use and feel great. Total Filters (1) 50 Sq. Ft.